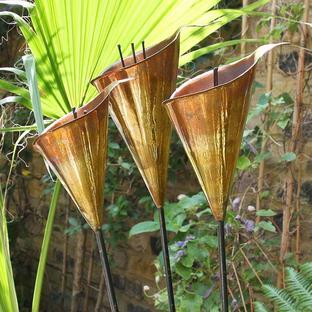 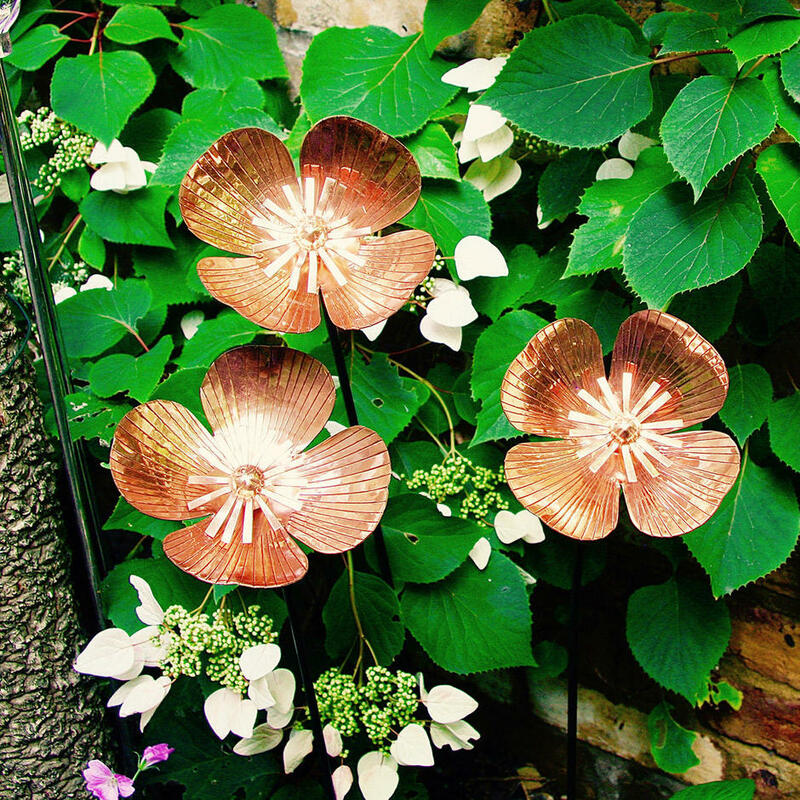 Set of 3 delightful poppy flowers in copper which will give light and colour to your garden all year round. 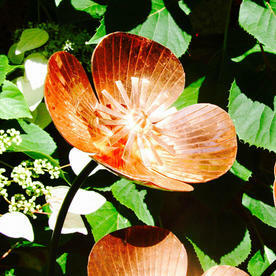 These gorgeous poppy flower stakes are stunning garden art for a variety of garden sizes and styles. 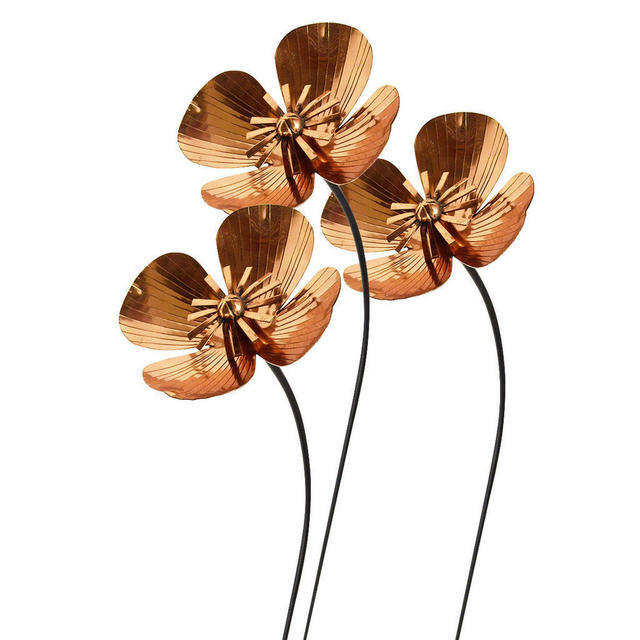 Beautifully hand crafted in copper with delicate detailing on the poppy flowers. The flowers are gently tilted to search the sun. 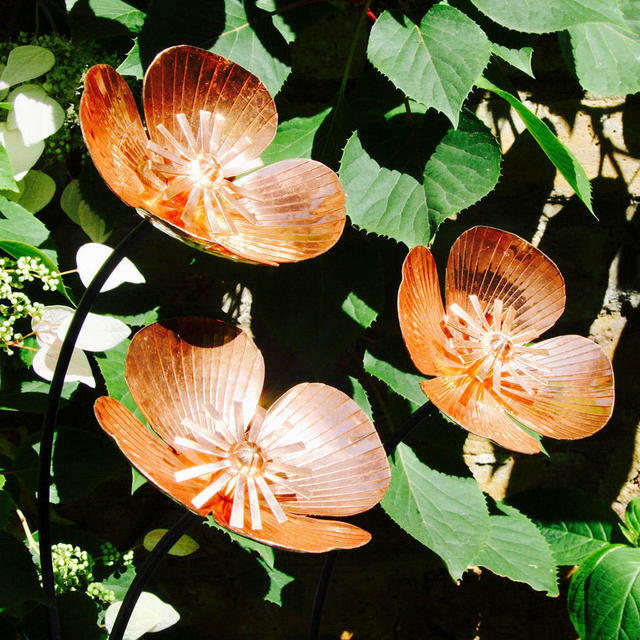 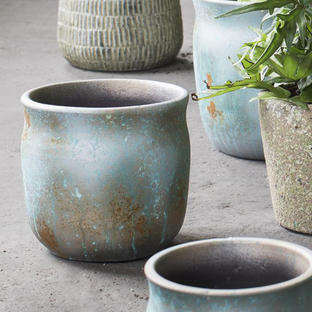 But if you only have a small, urban space, then try the copper poppy flowers pushed firmly into a heavy planter, planted up with tall grasses or ferns. 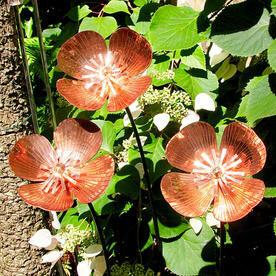 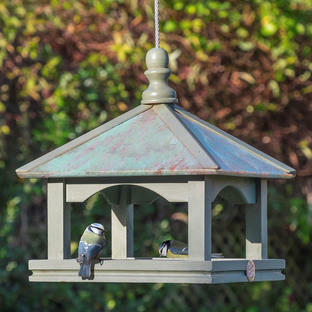 Try them mixed with the copper poppy seedheads which work well with these sculptures. 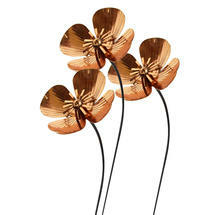 Set of 3 copper poppy flowers on a black powder-coated steel pole.